A lot of people have been doing the installation of the APK version of Kingroot tool without realizing that there are another version of the tool. Another one is the version that you can install on the Windows PC. Installing the Windows PC version means all you need to do is to connect the device to the PC and then run the app. By doing this step, it will let you know if your device can be rooted or not. To root your Android Marshmallow device with Kingroot, the first thing you have to do is to download the Kingroot tool for Windows PC installation from the official website of Kingroot. Downloading from the official website is recommended as it is legal and safe. Please find the blue button that says “Download for Windows” to get it. The moment you click the button to start the download, the file should show up above the taskbar. If it is not showing up, then you have to click on the link that appears on the page written “Click here to restart the download”. This time, the file will be places above the taskbar. Then, click on the Kingroot executable file once the download is done above the taskbar in order to open up the start of the setup pf the setup wizard for the rooting tool. Apparently, the following screen will not show you the button for advancing to the next steps until you agree to the Terms and Conditions. If you agree with the Terms and Conditions made by the developers of Kingroot, you just have to click on the top box to put the checkmark. Then, click on the button on the left hand side at the bottom to proceed. There will be the box with the tick in it in the next screen. That one is there for you to give the option choosing to have the Kingroot desktop icon installed after the installation is done. For those who do not want to have the icon in the desktop, please deselect this box. The next thing you have to do is to click on the middle button to advance past this screen. When the button is clicked in the previous step, the Kingroot will officially begin installing on the PC. In just a span of time, the progress bar will have reached the other side of the display and the tool will be ready to use. Do not forget that you have to close down the setup wizard before you can use it. for your information, the box that is available on the closing screen will give you the option of launching the Kingroot tool after you close the setup wizard. Please keep the box checked for those who want to root the device right away after exiting the installation wizard. 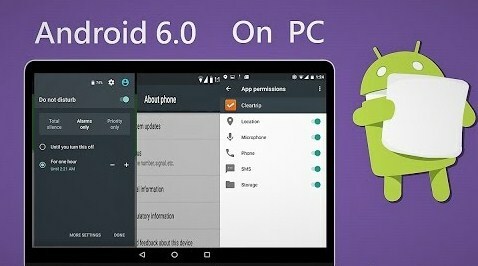 After that, all you need to do is to connect the Android device to PC with the USB cable that you use and make sure that USB Debugging Mode is enabled from the Settings menu. Related Post "Kingroot PC Marshmallow"